As one of two remaining dairy farms on the Isle of Wight, the Griffin family remain optimistic about their future and are focused on utilising their core commodity. The Griffin family are mitigating the on-going volatility faced by UK farmers by utilising every last drop of their core product. Briddlesford Lodge Farm, near Wootton Common, on the Isle of Wight, is no run-of-the mill dairy unit. Not only is the 90-hectare (220-acre) farm home to the 140-cow Briddlesford pedigree Guernsey herd, it also has a farm shop, a cafe/restaurant, state-of-the-art milk processing facilities and a visitors’ centre. During a typically busy day, there is a lot going on. The processing plant, where milk is pasteurised and then either bottled and sold as liquid milk or processed into cheese, has been in operation for a year. It was finally completed in June 2017 when the first bottles rolled off the production line. Heading it up is one of the partners in the dairy business, Paul Griffin, who also oversees dairy herd management. Paul is the fourth generation of the Griffin family to run the Guernsey herd, plus 70 followers, at the unit. New cow housing was built during the 1990s to facilitate an expanding herd, and it’s not been the only investment. The old cow housing has been transformed into a cafe and, opposite that, the old milking stable has been converted into a farm shop, selling Briddlesford Farm Dairy’s milk, clotted cream, butter and cheese, as well as a raft of other local produce. Paul explains: “We’ve taken our on-farm processing to the next level. We felt moving into bottling milk on a larger scale was more economically viable. Most of the milk produced by the 10 dairy herds on the Isle of Wight is bought by Arla and Medina and destined for supermarket shelves on the mainland. “That leaves producers wide open to market fluctuations,” he adds. “We wanted to avoid some of that and also add some extra value. All the milk produced by the Briddlesford herd is processed on farm. 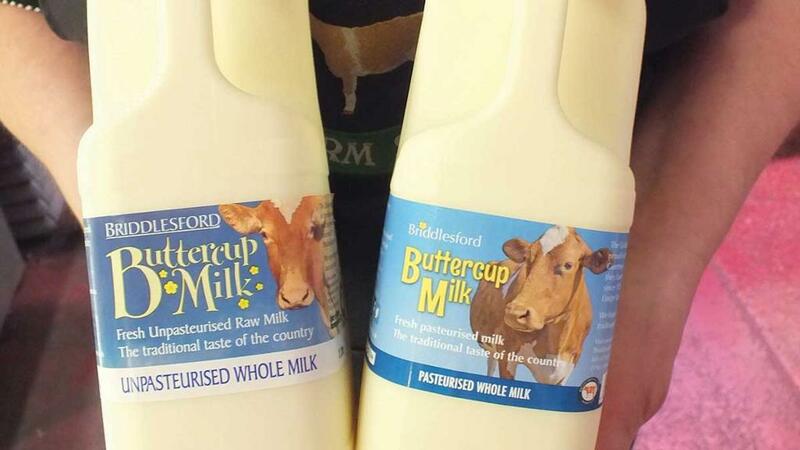 Around 80 per cent is bottled as fresh milk and the remaining 20 per cent is made into cheese, butter and cream. “What we make in the plant varies according to the time of year,” explains Paul. “Demand for liquid milk is higher during the summer, possibly due to the influx of tourists to the island. The dairy produce is sold through the farm’s own shop and cafe, alongside other shops and ‘food service’ outlets, including Wight Link Ferries. “There’s also a coffee chain on the mainland which buys our milk. Our Guernsey milk is not homogenised and their baristas rely on it because it holds the froth for their ‘latte art’ so well,” adds Paul, who would like to expand sales to the mainland, but a move that would require them to milk more cows. “That’s something for the future, particularly as we expand the size of the herd and are able to produce more milk,” he adds. “We are hoping to push numbers up to 150 milkers by the end of this year. The herd at Briddlesford has always been Guernsey. There’s a small museum and heritage centre in the farm yard which visitors can explore for free and comprises old farm implements and machinery, some photographs of Paul’s ancestors and some of the founding Guernsey cows. “We’re keeping up a tradition with the Guernseys, but they also suit our farm and system,” says Paul. 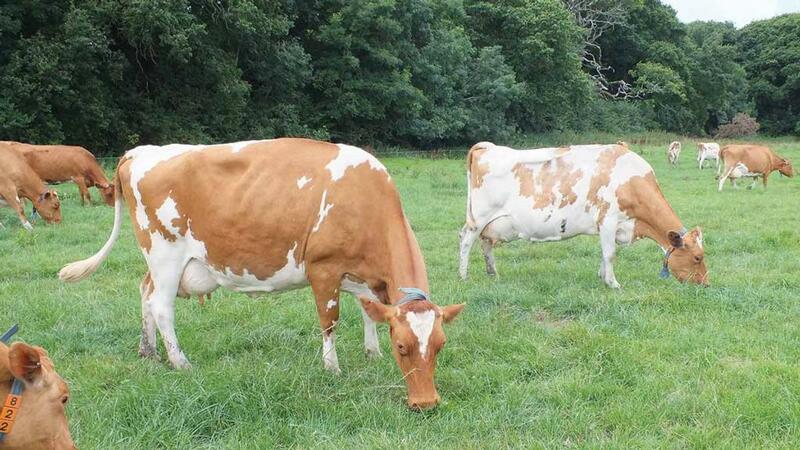 “The breed has a placid temperament, great feet and legs and they are easy calvers. Paul believes farming on an island has its pros and cons. “Inputs that need to be imported to the island, such as feed and fertiliser, can be more expensive,” he says. Cows calve all year round to produce a relatively level supply of milk. 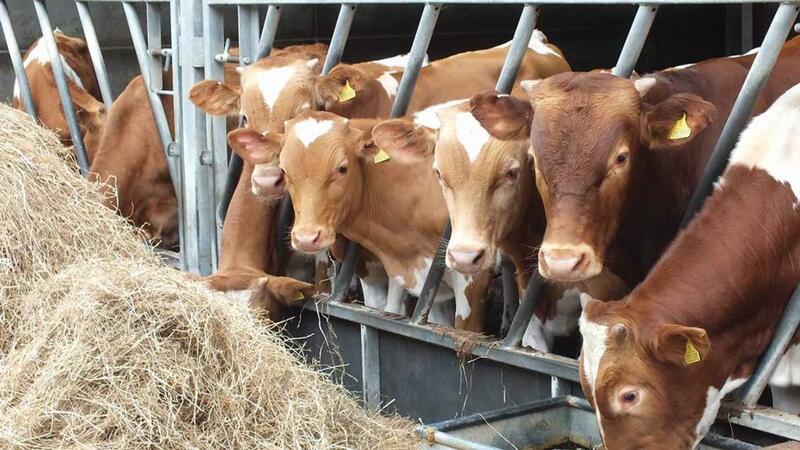 Average yield for the NMR-recorded herd is 6,500 litres at 5. Per cent butterfat and 3.6 per cent protein, with a somatic cell count of less than 200,000 cells/ml. The herd is managed on a conventional TMR-based system, with cows housed during the winter and out at grass from early spring. “We like to produce as much milk from grass as possible, but run them on a fairly high input system,” says Paul. Turn out is typically in late March or early April to make the most of the grazing season, as it tends to dry up in the summer. Paul will usually begin buffer feeding in June, but cows often stay out until October or November, depending on ground conditions and the weather. Most of the bull calves from the herd are reared on farm for veal, and this is sold through the farm shop and restaurant. One or two breeding bulls are also sold each year. Paul manages the herd and business with help from his mother and father – Judi and Richard. 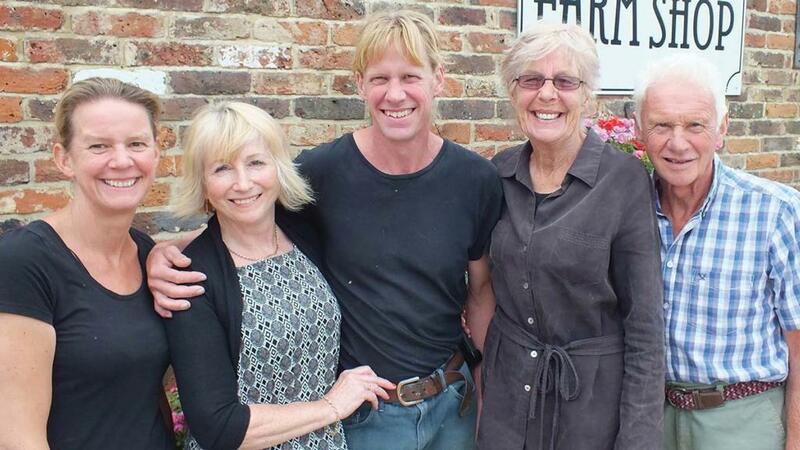 Paul’s wife, Christine, runs the cafe and his sister, Louise, manages the farm shop. “The shop is an important outlet for our milk and dairy produce and around 50,000 people visit us each year,” Paul adds. Indeed, Paul says all the different aspects of the business are crucial to its survival. “The shop and cafe wouldn’t exist without the farm and I think the dairy herd would struggle without the shop and the cafe,” he says. ‘Welly Wednesday’, when the farm is open to the public, also helps to increase the profile of the herd and business. Winning awards is also raising the profile of the Griffin family’s herd and business and recently won the RIWAS/CLA Rural Business of the Year award for the Isle of Wight earlier this year. Following suit was their Briddlesford Cheddar which also won a bronze medal at the British Cheese Awards this year. “That really was a great boost,” he says. “We’ve not been making cheese for very long, so to be recognised in this way, really is a big deal for us. “There’s only one other dairy farmer/processor on the island – Richard Hodgson at Queen Bower Dairy. He is also milking Guernseys and making cheese, although he no longer bottles fresh milk.